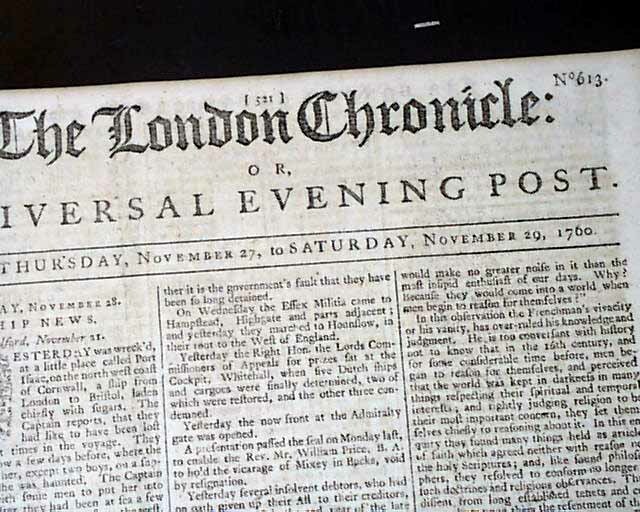 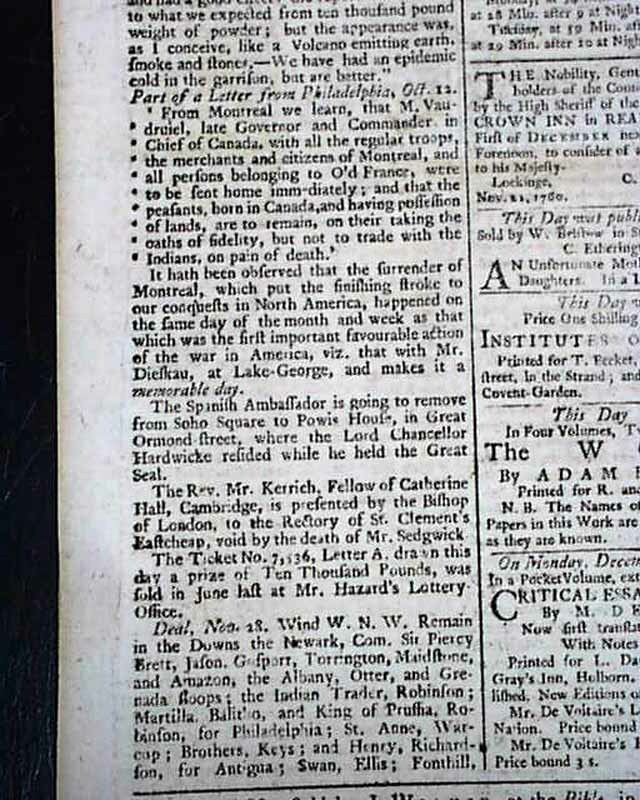 THE LONDON CHRONICLE, England, Nov. 29, 1760 The back page has a letter from Philadelphia which mention in part: "From Montreal we learn that M. Vaudruiel, late Governor & Commander in Chief of Canada, with all the regular troops...were to be sent home immediately, and that the peasants born in Canada & having possession of lands are to remain on their taking the oath of fidelity, but not to trade with the Indians, on pain of death. 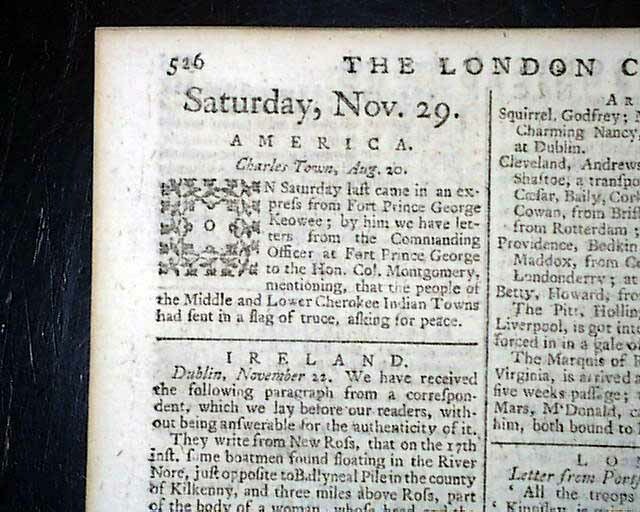 It hath been observed that the surrender of Montreal, which put the finishing stroke to our conquests in North America...". 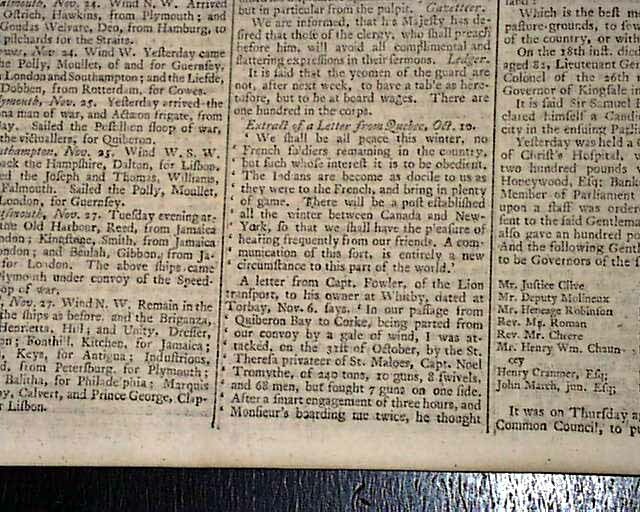 Another page has a report from Charleston concerning the Cherokees, and also a "...Letter from Quebec" with the latest news from there (see). 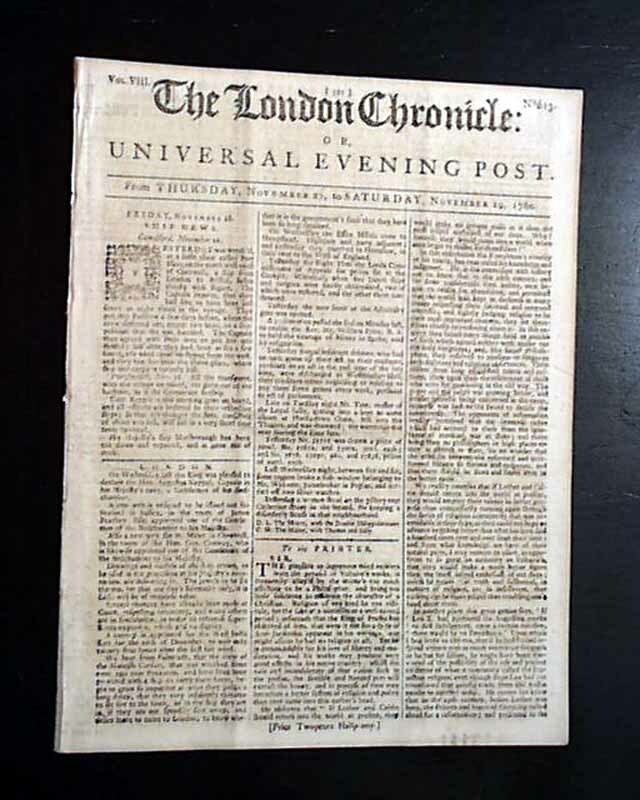 Eight pages, 8 by 10 1/2 inches, nice condition.